“Hark! The Herald Angels Sing” as we know it today did not begin its life as such. 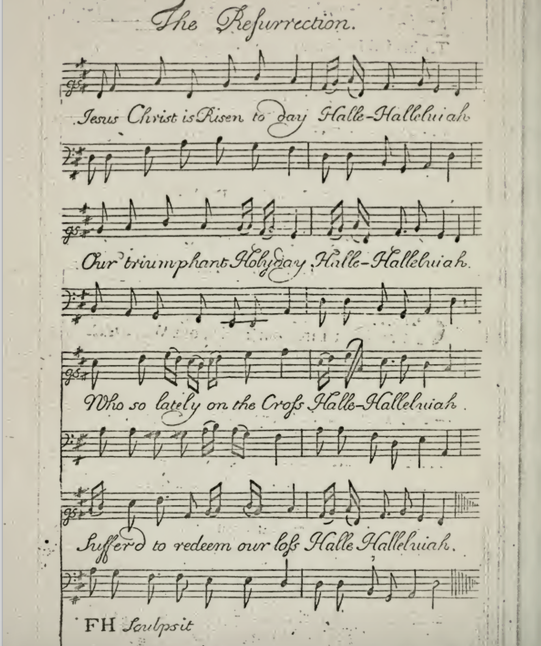 Many people attribute the text of this carol to the famous hymn-writer, Charles Wesley (1707-1788). This day in mirth and revel to dispend, / Till on the welkin shone the starres bright. By the time Wesley wrote his poem some four centuries later, the term was most likely no longer in vogue. Wesley’s poem would not gain popularity until fourteen years later when George Whitefield (1714-1770) modified the text. Whitefield was a famous evangelist and instrumental figure during the “Great Awakening.” He was also a friend and colleague of Wesley, studying with him early in his career. Later in his career, Whitefield would change, without permission, Wesley’s text to say “Hark the Herald Angels Sing, Glory to the newborn King.” While Wesley was not pleased with the changing of his text, it was Whitefield’s version that grew in popularity. By changing the text of Wesley’s poem, Whitefield in turn altered the overall symbolism. Where Wesley’s poem was about Heaven’s response to God, Whitefield’s was about mankind’s response to God’s redemption. "Hark the Herald Angels Sing" has gone through text revisions and different music settings over the years. Even though Whitefield popularized Wesley’s poem, there was still no set tune to sing it to. 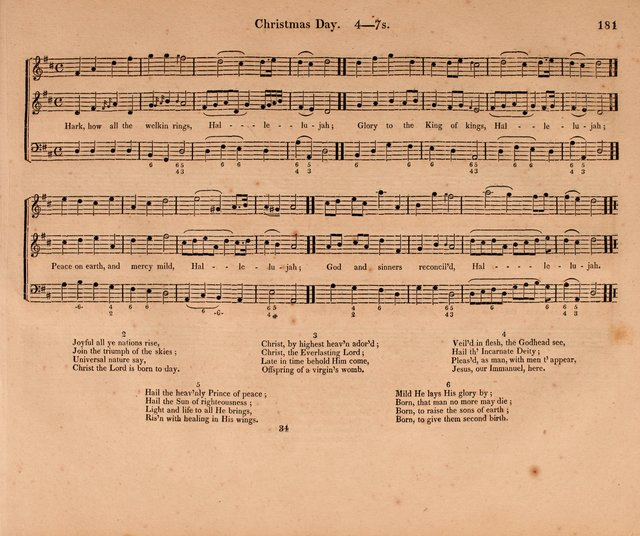 Wesley originally intended for the “Hymn for Christmas-Day” to be sung to the Easter hymn “Christ the Lord is Risen Today.” It wouldn’t be for more than a century later that the tune we associate with “Hark the Herald Angels Sing” was written by Felix Mendelssohn (1809-1847) in 1840. However, Mendelssohn’s composition was not intended as a sacred piece, instead, it was written to commemorate the four hundredth anniversary of Gutenberg’s printing press (No. 2 “Vaterland, in deinen Gauen” from Festgesang zum Gutenbergfest). From the beginning, Mendelssohn sensed that his tune would be a hit knowing that if the right words were added it would be well liked by singers and audiences. Little did he know that it would gain huge success as a song celebrating the birth of Christ. It was not until 1855, when English musician, William Hayman Cummings (1831-1915) successfully joined together the work of three men, Wesley, Whitefield and Mendelssohn into the Christmas carol we know and sing today. The version we know as “Hark! The Herald Angels Sing” was first published in 1857 and the score was simply identified as “Christmas - Hymn 7” with no attribution. 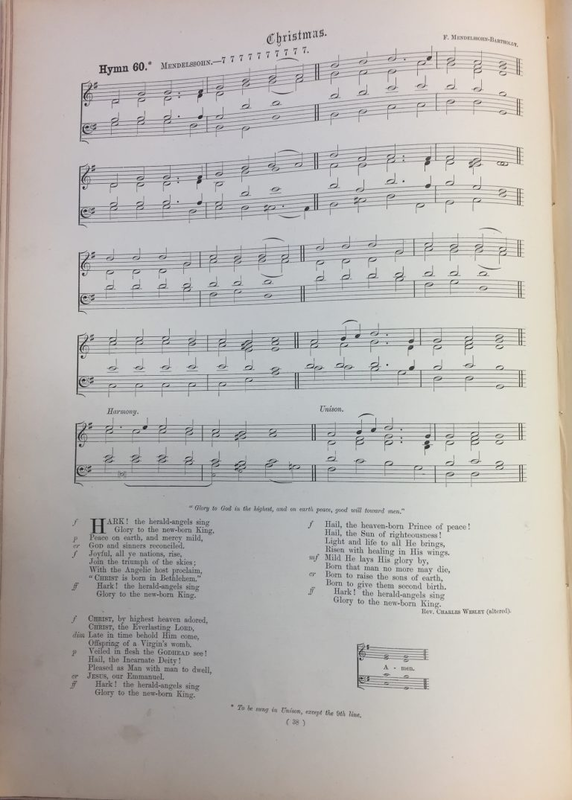 It wasn’t until 1874 that the song would be attributed to Mendelssohn and Wesley in the revised edition of The Congregational Hymn and Tune Book by Reverend R.R. Chope, giving no credit what so ever to Whitefield who made significant changes to Wesley’s hymn. 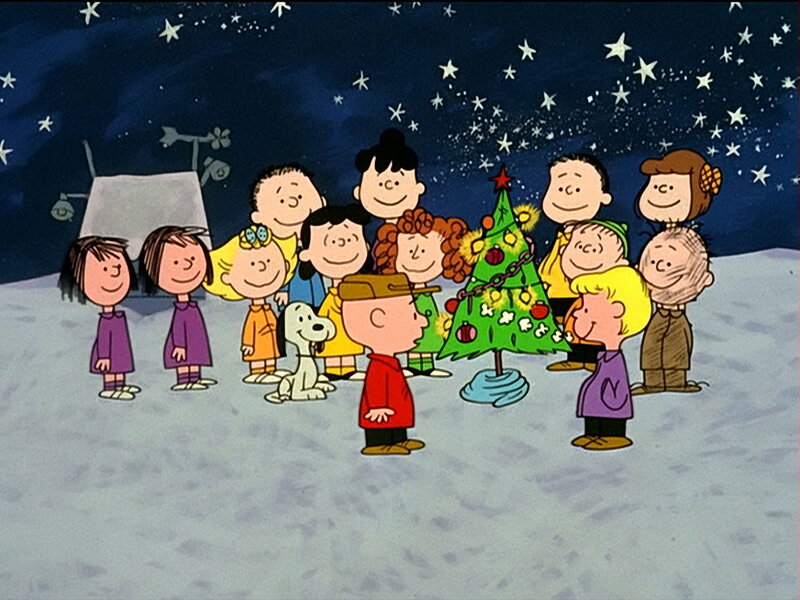 This hymn became even more popular when it made a famous appearance on television in 1965, serving as the culmination of A Charlie Brown Christmas. Leighann plays traverso, modern flute, is a core member of the BBE, and curator of the Carols program. She has concertized in Europe and the United States as a soloist and as a collaborator of chamber and orchestral music. She is frequently heard on Chicago’s Classical Radio Station WFMT 98.7. She earned degrees in modern flute from DePauw University and Indiana University, and degrees in historical flutes from The Royal Conservatory of the Hague (The Netherlands) and Indiana University.